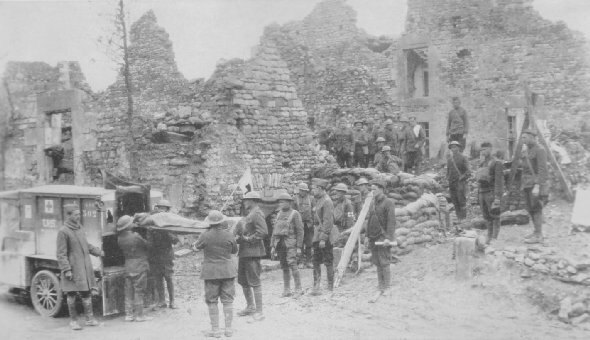 Unloading wounded American soldiers at a first aid station which has been set up in the basement of a shattered house. 315th and 316th Ambulance Companies, Les Eparges, Department of the Meuse, France, October 13, 1918. 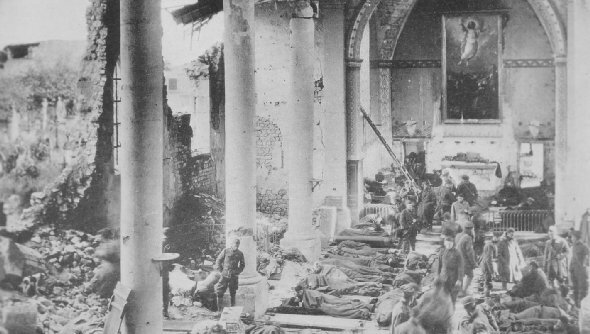 Wounded being treated by 110th Sanitary Train, 137th Field Hospital, 35th Div., in an old church, Neuville, Sept. 10.